If Spotify's IPO goes well on Tuesday, other highly valued private companies could decide to follow with their own direct listings. When streaming music giant Spotify begins trading on Tuesday on the New York Stock Exchange under the ticker symbol SPOT, everyone will be listening. That's because unlike a traditional IPO, Spotify will utilize a direct listing in which no additional money will be raised by the company, and existing shareholders will be able to sell shares to the public. Goldman Sachs, Morgan Stanley and Allen & Co. have been hired as advisers, but there are no underwriters involved in the listing -- and thus no hefty underwriting fees. 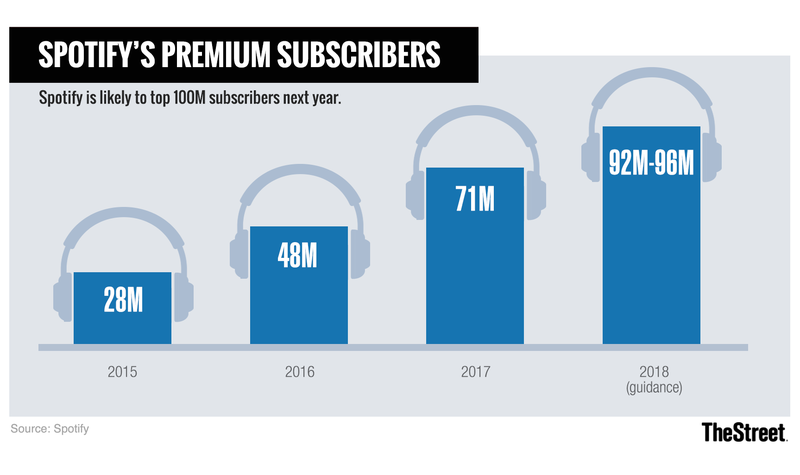 "If Spotify is able to pull this off, this could serve as a template for existing tech unicorns," said Sharespost, Inc. managing director Rohit Kulkarni. Because it's listing directly, Kulkarni said the stock price will likely be highly volatile once it begins trading. Trades on private markets have given Spotify a recent valuation as high as $26.5 billion, and in its IPO, 55.7 million shares of the company (more than 25% of its outstanding shares) will become eligible to be sold. Spotify's founder and CEO Daniel Ek wrote a post on the company's website on Monday in advance of the IPO, saying that the move "doesn't change who we are, what we are about, or how we operate." "Spotify is not raising capital, and our shareholders and employees have been free to buy and sell our stock for years," Ek wrote. Spotify's direct listing is an instance of "the democratization of capital markets by providing equal access of its shares to all market participants," Ek said. Santosh Rao, head of research at Manhattan Venture Research, said the direct listing prevents any forced buying or selling and does not include a lock-up period. Going public also won't change much about the company's reporting, which has been quite transparent, according to Rao. "This is the way the company has been positioned all along," Rao said. "Being a European company, they are required to disclose financials every year anyway."